DescriptionReads like paper with no glare, even in bright sunlight. Holds up to 1,400 books - take your library wherever you go. Reads like paper with no glare, even in bright sunlight. Holds up to 1,400 books - take your library wherever you go. 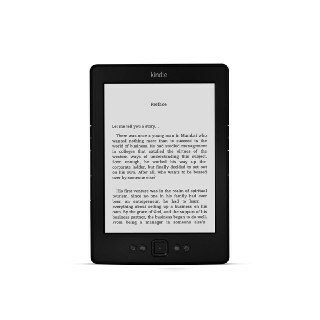 Display Features The embedded LED light is designed specifically for Kindle"s paper-like display, adding brightness without adding glare. Connectivity Supports public and private Wi-Fi networks or hotspots that use the 802.11b, 802.11g, or 802.11n standard with support for WEP, WPA and WPA2 security using password authentication or Wi-Fi Protected Setup (WPS); does not connect to WPA and WPA2 secured networks using 802.1X authentication methods; does not support connecting to ad-hoc (or peer-to-peer) Wi-Fi networks.